Massage therapy is a form of care and attention for individual needs. There are many benefits to massage therapy including relief from toxins, conditioning of the skin, fluid transfer improvement including circulation improvement, promotion of better sleep, and relief from anxiety or stress. 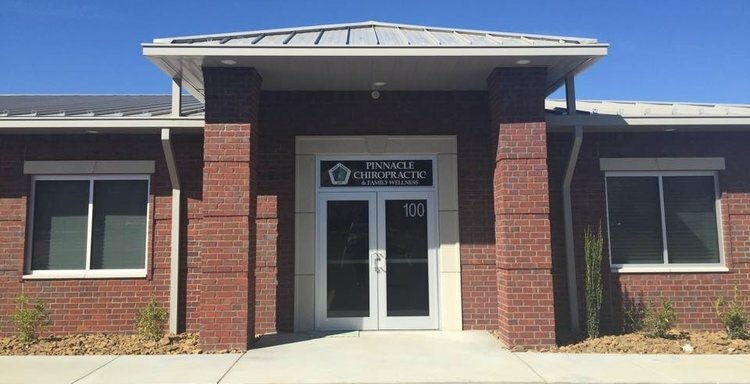 Chiropractic care and massage therapy can be used in conjunction with each other or as separate care techniques. The focus of massage therapy is to relieve, relax, and promote wellness for all clients of any stage in life. Whether you want to just be pampered or really need relief on a sore muscle, massage therapy can help. Perhaps, you have a big golf tournament coming up. many professional golfers visit both the chiropractor and massage therapist before or after hitting the links. What ever your need is, massage therapy is an effective, inexpensive way of getting you feeling better, performing better, and making life more enjoyable. This common type of massage is very beneficial to aid clients with specific problem areas. The therapist will make each session unique by using combinations of Swedish, Trigger Point Therapy, Deep Tissue Energy Work, Neuromuscular therapy, Reflexology, and Stretching according to the clients needs at that particular time. the pressure tends to be firm and may be slightly uncomfortable when working on troubled areas. Deep tissue massage is an overall firm massage session with deep, focused work on tight areas. It does not always encompass the entire body as its intent is often on problematic areas. Muscles that are stressed will block oxygen and nutrients, leading to inflammation that will build up and store toxins in the muscle tissue. Deep tissue massage will get to the core of the problem by working intensely on the muscles and connective tissue to free toxins and restore circulation of blood and oxygen. Generally, deep tissue massage will use slow strokes and deep pressure on the contracted areas. Remember, with the release of the toxins, it is important to properly hydrate and allow the body to flush out and eliminate the toxins. A wonderful opportunity for rest and relaxation, pregnancy massage can be done anytime after the first trimester, with a doctor's permission. this type of massage is designed especially for the needs of a pregnant woman. Many special accommodations are taken into account to customize the treatment to the needs of each client, such as working on the lower back and hip area to relieve common pain, working on the legs to relieve leg cramps and the use of essential oils to maintain elasticity of the skin and ease stretch marks. This is a very gentle type of massage. Infant massage has a wide range of benefits including promotion of relaxation, improving sensory integration, helping aid better sleep, stimulating the circulatory and GI systems, and assisting in pain relief. This type of massage is specific and zeros in on trouble spots, applying concentrated pressure to areas of chronic or severe pain in the muscles, called "trigger points". Trigger Points occur when a muscle is in constant contraction typically due to how we hold and position ourselves. Generally, stiff holding patterns occur in the shoulders due to daily stress. These holding patterns go undetected to our conscious mind because they are so slight. Trigger point therapy tends to be deeper in nature, but can be performed at a light to medium level of pressure to accommodate clients needs and comfort. Typically 5-6 treatments will rid you of the full onslaught of pain. Trigger point massage has been known to diminish migraine pain, mock sciatica, mock carpal tunnel syndrome and other pain syndromes, and other symptoms that may have been misdiagnosed. Reflexology is a complementary therapy, which works to heal the whole body, not just prevailing symptoms. Reflexology can help restore and maintain the body's natural equilibrium. This encourages the body to work naturally to restore its own healthy balance. Reflexology is much more than a deep, relaxing foot massage, instead it is an acupressure type technique applied to the hands and feet based on an ancient Oriental theory that meridian lines carry energy throughout the body.